Hey there fellow corps blog followers, been a while since I have posted a blog about the crew. We were busy this fall with three, ten-day spike trips out of town. It’s been a little hard to stay on top of it all but here is the break down of what we did. The month of August came in hot and sweaty with temps ranging anywhere from ninety degrees all the way to one hundred and fifteen degrees. 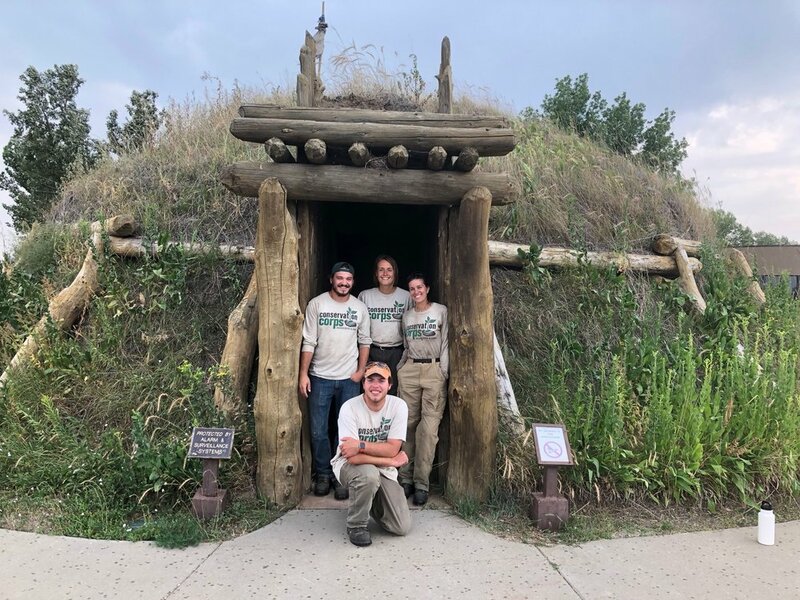 The crew was out at Knife River Indian Villages historic site near Stanton, North Dakota. Most of our time was spent working on clearing trees that were brought down two weeks before our arrival by a tornado. Several storm-damaged trees lay twisted across the hiking trail system. 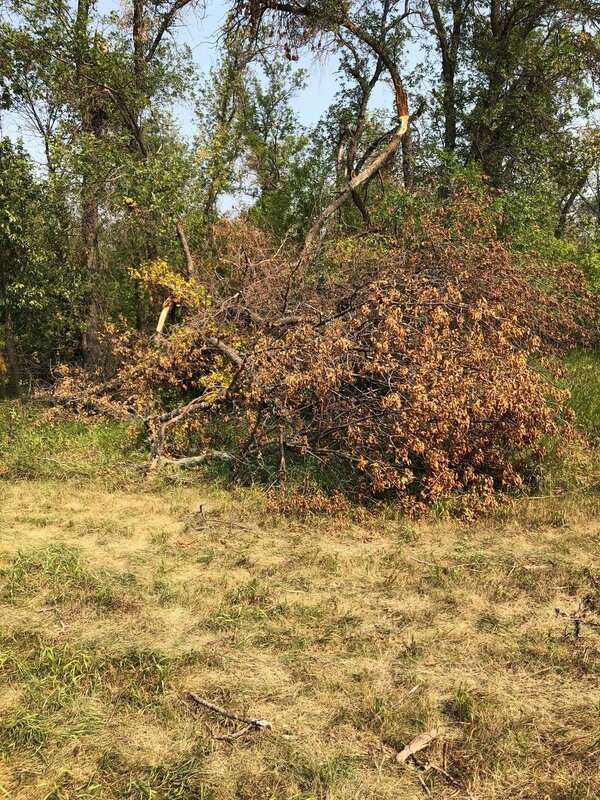 In our down time we learned about the area’s history and about the people, which included a day trip to Teddy Roosevelt national park where we took in the vast scenery and wildlife the park had to offer. Soon August was over and the month of September was upon us. 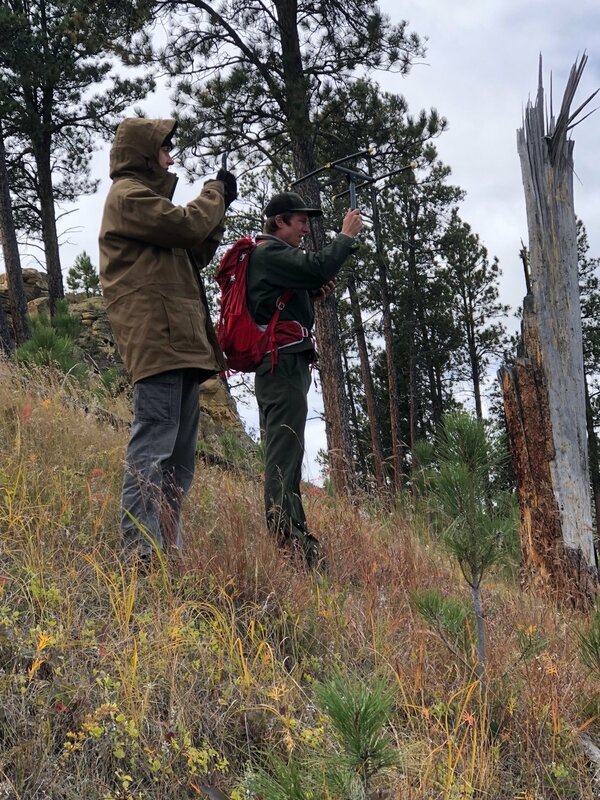 We were back home for a few weeks working on various projects for the fish and wildlife service out of the Litchfield office. After some much need time at home we embarked on our next journey to Crescent Lake National Wildlife Refuge near Ellsworth, Nebraska. We spent our time working on vegetation plots to better understand if areas of the refuge would be suitable for grazing of cattle. We collected barn owl pellets so researchers at the fish and wildlife service could get a better understanding on what they were eating on the refuge. We learned how to install and maintain barbed wire fencing and maintain some of the hiking trails as well. We visited Chimney Rock historic site and learned about the Oregon trail and how the landmark served as a vital piece to settlers on the journey west. Summer soon left us in a flash and the dreaded ninety to one hundred-degree days were over and it was time to embrace the cold as the we prepared for our last venture out west. Off to Devils Tower National Monument in the state of Wyoming. 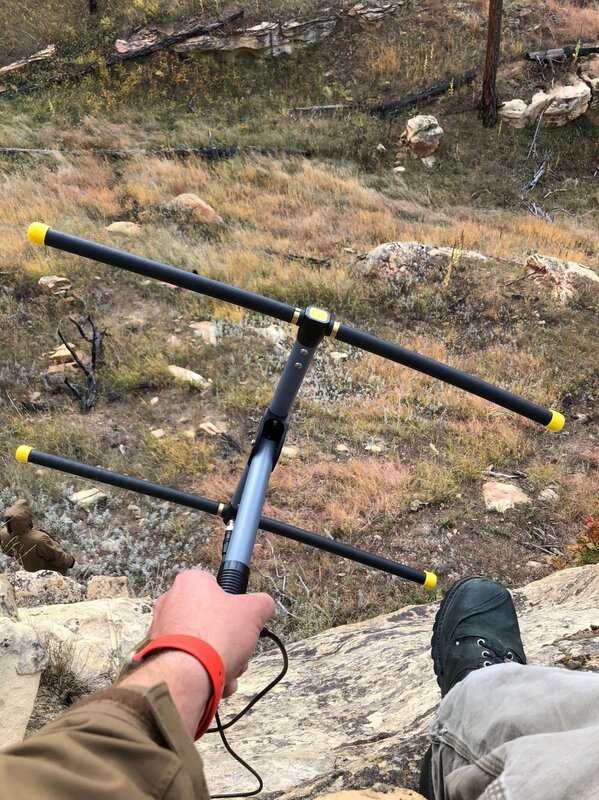 We spent most of our time helping track bats within the monument’s boundaries. Small radio transmitters had been attached to their little bodies with surgical glue, so the transmitter would eventually fall off. 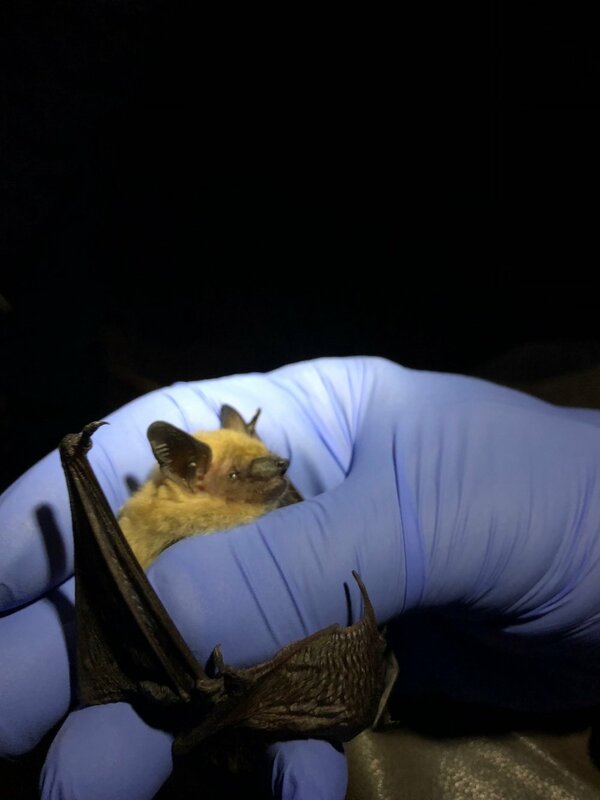 The purpose of the study was to understand if the bats were staying in the park to hibernate or not, so they could implement better management strategies if white nose syndrome was to take hold. So that’s a wrap on what we have been up to for most of the summer, ‘till next time. November 1, 2018 by Rachel Wagner.